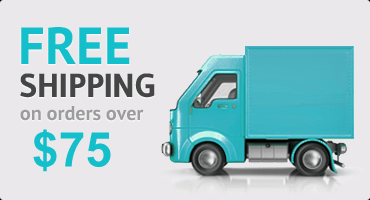 Give your ordinary mattress a supportive upgrade with our Super Soft and Cool rayon from Bamboo mattress pad. 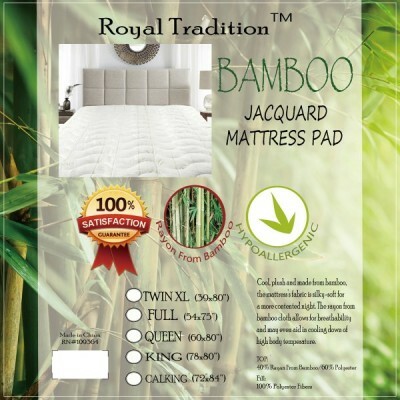 This cool & plush bamboo mattress pad offers pinpoint support where your body needs it the most proving a restful night's sleep. Give your ordinary mattress a supportive upgrade with our Super Soft and Cool rayon from Bamboo mattress pad. This cool & plush bamboo mattress pad offers pinpoint support where your body needs it the most proving a restful night's sleep. The rayon from bamboo cloth allows from breath ability and may even aid in cooling down of high body temperatures. 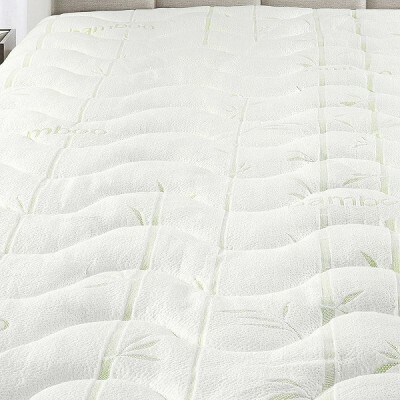 Made of 40% Bamboo rayon and 60% Polyester making this mattress pad super soft and cool to the touch with an elastic band all around to keep it firm on your mattress.